Industrial robots work in a variety of applications ranging from vehicle manufacturing to semiconductor pick-and-place. Any repetitive task is a candidate for automation, particularly if it is difficult, unsafe for humans, or takes place in hostile surroundings. Industrial robotic systems are hugely expensive to install so it is crucial that they are operated and maintained correctly – any “down-time” can be costly! Oil within system is used to lubricate the joints and gears and prevent overheating, misalignment, and bearing wear. If this oil leaks during operation, it could contaminate the surrounding environment, damage production and affect machine performance. Immediate detection of when an oil level in robotic systems is low is therefore critical to avoid costly expense. 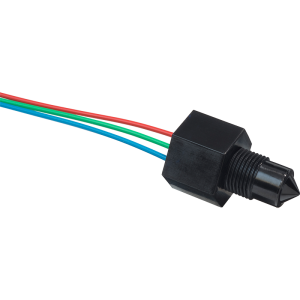 SST Sensing’s single-point optical liquid level switch technology provides a reliable and cost-effective solution that will detect the presence or absence of any fluid. With no moving parts to wear out, resistant to high temperatures and pressures, and requiring only 1mm of liquid to be on or off the tip, the switches protect robotic systems from damage. 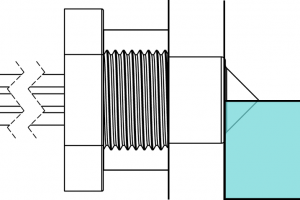 Switching high or low in liquid allows integration with control systems quickly and simply. 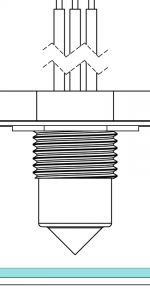 Located in the gearbox to maintain a minimum level, or in the oil sump to detect the absence of oil, the switch will provide virtually instantaneous indication of a problem. Detection of a leak at an early stage, prevents unnecessary costs, increases end-user confidence and adds value to the customer’s product or service. 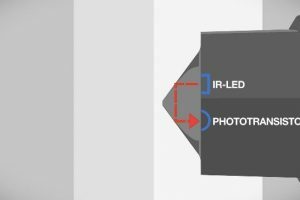 When the tip of the switch is in air, infra-red light reflects internally round the tip to the phototransistor providing strong optical coupling between the two. 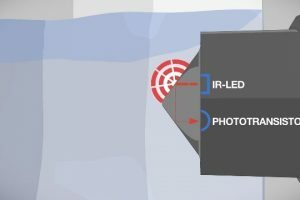 When the tip is in liquid, the infra-red light escapes from the tip causing a reduction in the amount of light at the phototransistor which triggers the change in output state. Where can I install them? SST’s liquid level switches can be used in almost any liquid type, so are compatible with the varying types of oil used to lubricate the joints of industrial robots. Single-point optical switches are designed to fit into small spaces; only the tip of the switch needs to be present in the liquid. 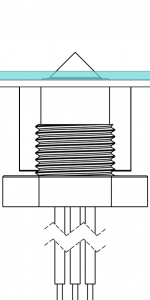 Optical switches have no moving parts to fail; this makes them more reliable and durable than float switches. Requires only a small amount of liquid to trigger an alarm, making it ideal for leak detection. Low-power and low-cost design, supplying long life and long-term reliability. Glass tip and stainless-steel housing options available for the detection of corrosive liquids within high-pressure applications. Electronics that are capable of sinking and sourcing up to 1A to directly drive loads. The LLC200D324-002 switch has an internal pull-up resistor and can directly connect to a discrete PLC input or MCU/TTL input. The switch output is normally high-in-air to show it is active. It will switch low upon contact with liquid. 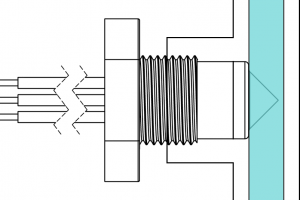 SST has a wide range of optical liquid level switches with a variety of options to choose from; supply voltage, output drive circuits and load capacity, thread sizes and housing materials, termination types.